Founded in 1933, the Caine Companies have a rich history in the Upstate of South Carolina. 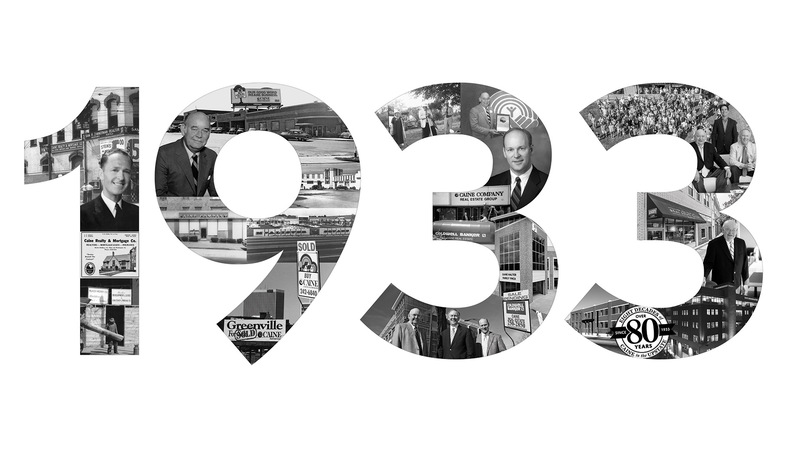 For 86 years, Coldwell Banker Caine has provided exceptional service to clients in Greenville, Spartanburg, and Anderson. Our founder Bubber Caine once said, “Always put people first, give of yourselves, and support the community that has been so generous to us all.” This value remains the cornerstone of our business philosophy today. Fueled by a dream and determination, Bubber Caine pioneered a new approach to real estate. Over the years, we refused to merely make peace with the changing real estate market. Instead, we’ve embraced change as an opportunity for growth. We have evolved to be the most proven, forward-thinking real estate company in the Upstate. From residential and commercial real estate to concierge, relocation, and property management, we are dedicated to providing an outstanding customer experience. Our affiliation with Coldwell Banker provides our agents with the best resources and tools to serve their clients. This is the reason clients continue to work with us, transaction after transaction. Together, Coldwell Banker Caine and Coldwell Banker Commercial Caine are The Caine Companies.